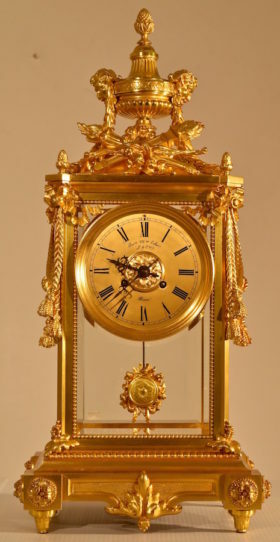 French oversized Louis XVI style bronze crystal regulator. 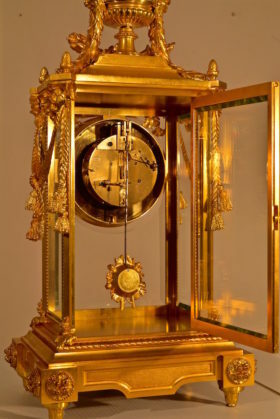 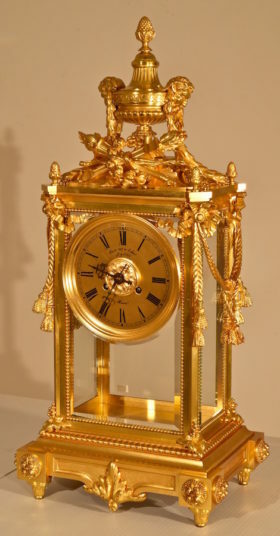 This clock is housed in an elaborately ornamented bronze case. 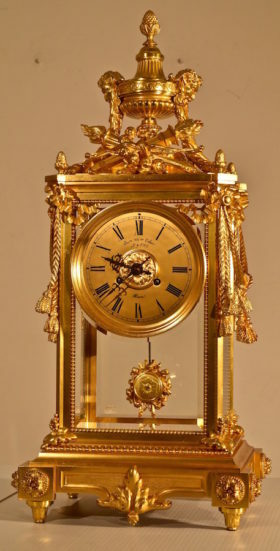 Accenting the sides of the clock are decorative tasseled swags, artfully made to look as though they hang down either sides of the piece. 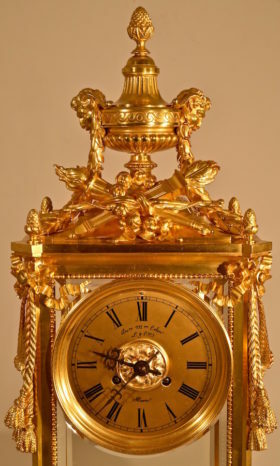 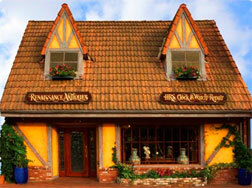 Atop the clock rests an urn flanked by mythological figures, accompanied by flaming torches resting at the urn’s base. 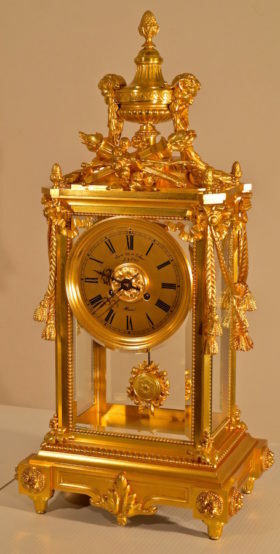 The clock features a decorative pendulum, and beveled glass panels on all sides. 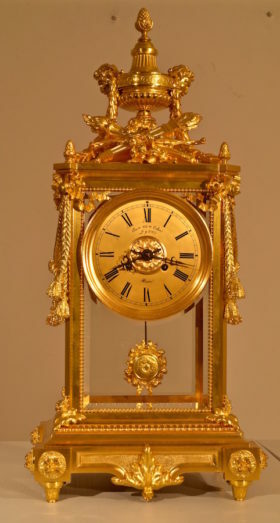 The dial is inscribed with ÒAne Ne Mon Olin L Cie A ParisÓ. 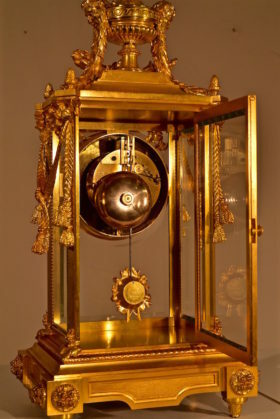 The clock houses an 8 day movement striking the hours on a bell.